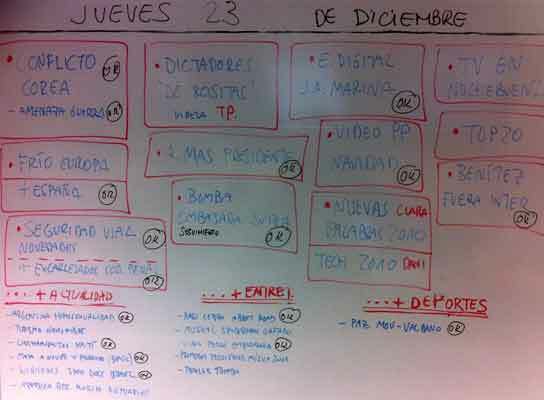 Bueno, a ver, sí nos hemos reunido y hemos debatido sobre los temas que vamos a tratar: hablaremos del tiempo (del temporal), del clásico mensaje de Nochebuena del Rey, de Rubalcaba, del recibo de la luz, de Julian Assange… Trataremos estos temas y alguno más siempre con el permiso de la actualidad. 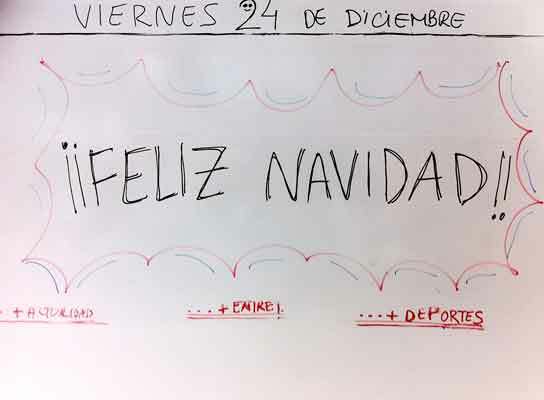 Todos los redactores de 20minutos.es os deseamos, amigos lectores, una muy ¡Feliz Navidad! Que os zurzan a vosotros también!!! Que tengais unas felices fiestas. A mi también me ha tocado trabajar en Nochebuena y Navidad. Wow i thought this was probably among the finest articles We have check out on the stock market until now. I would not have any idea the place you get any information but up! My business is gunna send a few folks on to take a look at this post. Fantastic, totally awesome. There are some interesting points in time in that clause but I don’t know if I see all of them eye to centre . I like your way of writing. that’s Ezra’s point dummy.maybe you should get your 10 yr old daughter to explain his pov to you? <– haha! Also, the vintage hill villages in the San Lorenzo Valley, up scenic highway nine, are surrounded by redwoods, have interesting places to eat like Redwood Pizzeria in Felton and Scopazzis in Boulder Creek, and date back to the mid 1800s. Fantastic post. This could aid lots of people find out about this matter! Do you want to incorporate video clips together with these? It could undoubtedly help out! Hello! I’d just like to say! what a interesting post. i’m just doing a bit of research for my website but i had issues reading this post due to the text sticking out on to the side menu!!!! Hey all, My husband and i adore your current web page!! Now this is simply a impressive post. I really look forward to reading through more interesting information in which you’ll turn out to be posting within the long run. We have discovered a bunch with this. : ). Hiya, We like your information site! It is actually a wonderful page. All of us look forward to browsing more fascinating subjects in which you may turn out to be writing within the future. I have acquired a ton from this. Bless you. Hiya, I really seriously like your current content. It is certainly a fantastic article. I really look forward to reading even more exciting topics in which you may be writing in the long run. I’ve truly acquired a bunch with this. Cheers.